Off Marine Drive, Caranzalem, Dona Paula , Panjim. 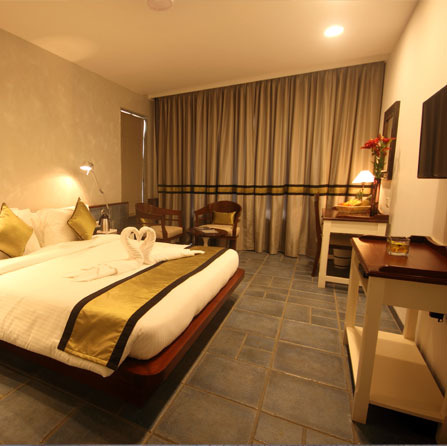 Our Superior Rooms come with either twin or king size beds. Three of our Superior Rooms also have a private balcony that faces agriculture fields in front of the hotel. All rooms have an attached bath and shower. 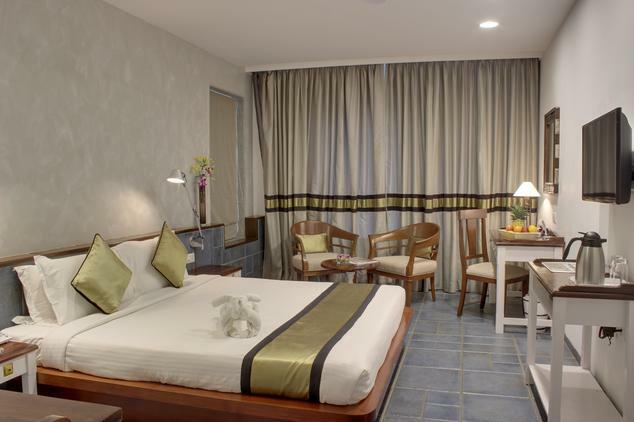 The Superior Rooms can accommodate 2 adults and 2 children. 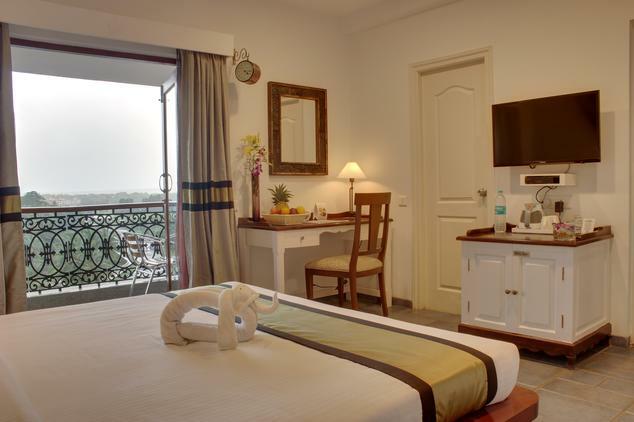 Club Rooms are on higher floors and come with king size beds. Three of our Club Rooms have a private balcony that overlooks agriculture fields in front of the hotel. All rooms have an attached bath and shower. Club rooms are 240 sq. ft. in size and come with complimentary soft min-bar. They can accommodate 2 adults and 2 children.